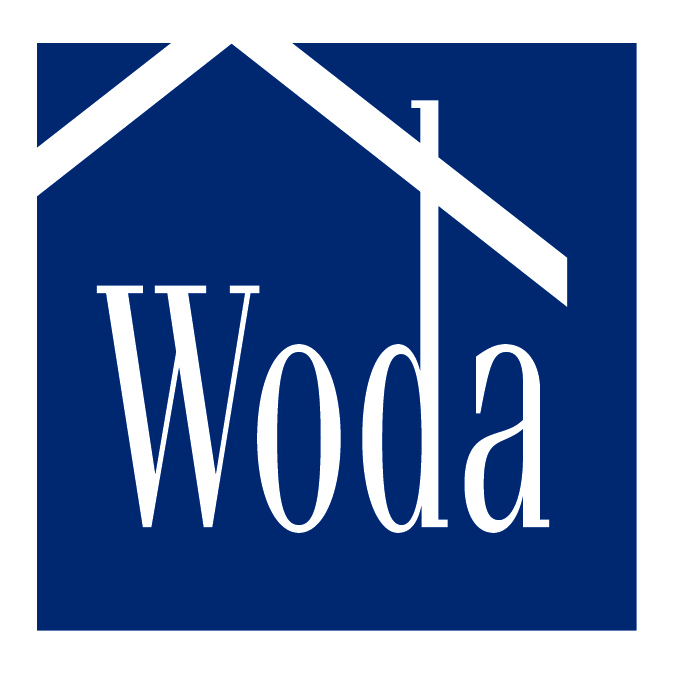 Founded in 1990, Woda Management is a nationwide development and construction firm that manages over 200 properties and strives to create affordable housing for seniors and families. 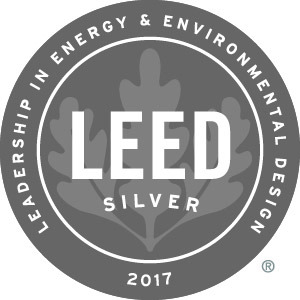 One of Woda Management‘s affordable rental communities recently received Leadership in Energy and Environmental Design (LEED) certification. Individual homes can receive LEED certification following a rigorous process that includes incorporating environmentally friendly and efficient build strategies as well as a healthy indoor environment. The home’s design and operation are tested and measured via home energy ratings and on-site inspections, while subsequent certifications are awarded by the U.S. Green Building Council. More than 2.2 million square feet of property becomes LEED certified every day in over 165 countries. 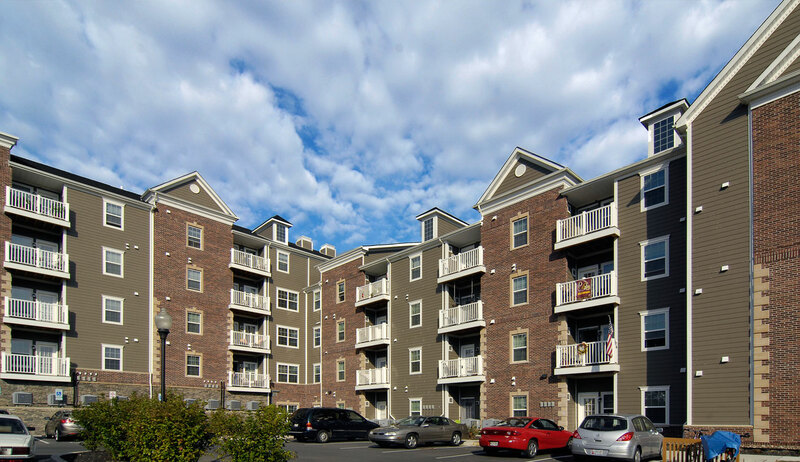 Woda’s Butler, Pennsylvania-based townhome community Thompson Greene opened in the fall of 2016 and recently earned LEED Silver certification for its green design and energy-efficient heating and cooling systems. The 50 units within the affordable rental community were constructed with environmentally friendly, recycled, Forest Stewardship Council-certified materials. Each unit is also equipped with Energy Star appliances and energy-efficient windows. As part of The Woda Group, Woda Management oversees a portfolio of affordable housing properties. Woda Management currently oversees more than 200 properties in 12 states across the United States, and remains an acknowledged expert in the affordable housing industry. While reason dictates that affordable housing benefits the residents of those communities themselves, there are also economic benefits that reach out into the community at large. These benefits begin with construction or redevelopment, which can create in excess of 120 jobs per 100 units. Furthermore, once occupation of the units begins, the everyday needs of the new residents help to support up to 30 jobs in local industries ranging from healthcare to retail. Similarly, because affordable housing relieves the financial burden on the individuals and families who live there, local businesses continue to benefit from the resultant increase in disposable income. More spending occurs in industries such as clothing and grocery retail, though an increased capacity to save can also ultimately result in more major purchases made in the area. Local supply businesses can also gain new business, not only during construction but also through the needs of ongoing maintenance. In addition, formerly unused land parcels increase in value and thus prompt higher property taxes paid to local government, while the property values of nearby homes undergo similar increases. Established in 1990, Woda Management and Real Estate, LLC, has created over 9,000 housing units in rural, suburban, and urban settings in the United States. Benefitting from strong partnerships with federal and state housing agencies and local government, Woda Management recently announced it had received notice to begin redevelopment of the old Portland High School in Michigan. Located on an elevated lot at 306 Brush Street in Portland, Michigan, the former school is a four-floored building with well-preserved brick and antique features inside. Woda Management had been contacted in 2013 by city officials to determine whether it could redevelop the building, esteemed by local residents. Also known as Old School Manor it was built in 1917 at the site where another school had burned down. Bricks from the previous school were used in reconstruction, bringing the total cost of the building to $107,000. 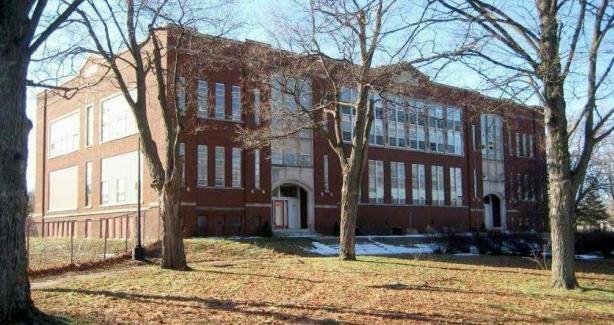 Later, the school district auctioned the building to a private developer who designed residential units inside it. 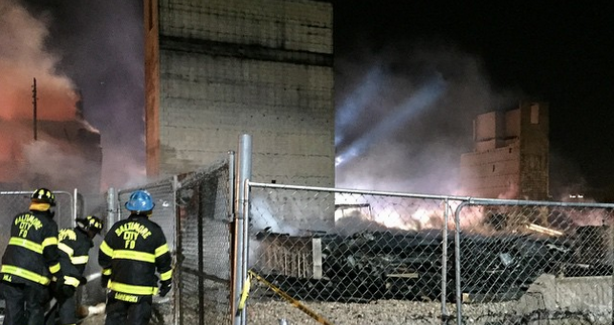 The building was lived in for many years before financial problems caused foreclosure. After redevelopment, the structure will have 29 family units with a mix of one-, two-, and three-bedroom units. It will boast 37,087 square feet of living space and 58 parking spaces, three of which will be designated for people with disabilities. Woda Management provides management, design, and construction services for a variety of affordable housing types throughout the Midwest, Northeast, and Southeast regions of the country Properties within Woda Management’s multi-family housing portfolio include the Harmony Greene Apartments in Pooler, Georgia. Harmony Greene focuses on offering families affordable housing while enhancing lifestyles and includes 50 townhome apartments with the option of two, three, or four bedrooms. A gold-certified Leadership in Energy and Environmental Design (LEED) property, the apartments sit upon a relatively flat piece of land dotted with wooded areas and within close proximity to a beautiful body of water. The surrounding residential subdivision also provides access to family-friendly community amenities such as medical services, parks, churches, and a variety of retail shops. Apartment units are equipped with kitchen and living amenities that include dishwasher, refrigerator, air conditioning, electric heating, and tenant storage. 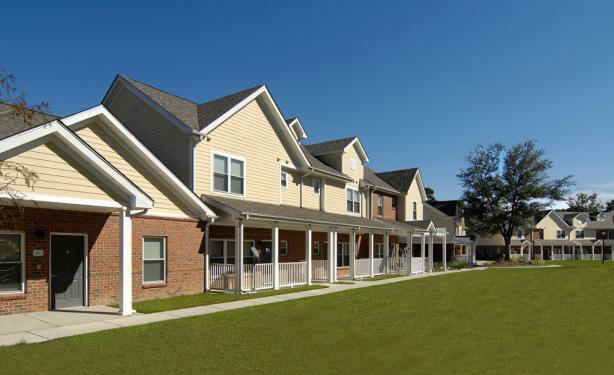 Units also feature a porch, patio, or balcony depending upon individual unit, and the complex offers handicap accessible units available in all bedroom options. Additionally, the Harmony Greene property offers barbeque and picnic areas and a community clubhouse and library. Residents also receive access to an on-site laundry facility. For more information about Harmony Greene or to view floorplan layouts, visit wodagroup.com/portfolio/harmony-greene. Woda Management and Real Estate oversees more than 9,000 units across 200 owned properties. Dedicated to understanding and meeting the needs of renters, Woda Management maintains an average occupancy rate of over 95 percent. To appeal to renters, a property management company or landlord needs to know what features are popular in today’s market. A few updates can make an apartment significantly more appealing to potential tenants and may be worth the cost of upgrade, particularly if such amenities are easy to install. For example, in-unit washer-dryers or washer-dryer hookups occupy 2 of the top-10 spaces in searched-for amenities for late 2014. Dishwashers are also popular with tenants, as is air conditioning. Potential renters tend to search for available technology as well, Wi-Fi being an increasingly in-demand requirement. Those searching for apartments in multifamily complexes also search for such community amenities as fitness centers, pools, and garages. Families in a multifamily community’s potential tenant base may wish to look for an on-site playground and high-quality nearby schools, while those with animals tend to be more focused on pet policies.